…Lake highlights ‘Qi.’ According to Chinese medical history it’s the vital energy that circulates through the body in ‘energy channels’ or meridians. It’s the flow of Qi, influenced by internal and external factors, that creates imbalances that present as physical or emotional issues. 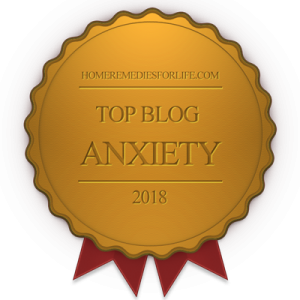 Millions doing their best to manage their mood and/or anxiety disorder are all too familiar with the practice of meds augmentation. For instance, adding an atypical antipsychotic, say, Abilify to an antidepressant to treat a tough case of depression. Well, augmentation apparently works, as many experience relief. But what if something creative, effective, and safe could do the augmenting? Many psychiatrists say Asian medicine may be that something. Bumped into some interesting info on Psychiatric Times the other day. “Integrating Biomedicine and Asian Medicine: Challenges and Opportunities,” a continuing medical education activity, was written by psychiatrist James Lake, MD. 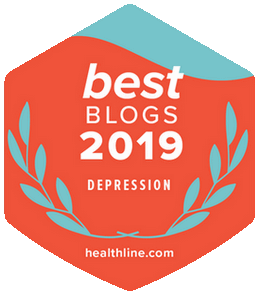 My takeaway was great and I think you’ll find the content helpful – especially since it was written by a psychiatrist, for psychiatrists, psychologists, and other health care pros. Dr. Lake kicks things off by emphasizing the complex problems, as well as opportunities, that come with blending fundamentally different diagnostic and treatment approaches: Asian healing traditions and the biomedicine of Western culture. Lake observes that biomedical (Western) psychiatry submits that mental illness can at times be explained by dysregulation of foundational neurochemical processes, and takes into account the influence of culture and religion on symptoms. Asian medicine is based upon different assumptions about the human body, the role of consciousness in healing, and the influences of biological, psychological, and “energetic” factors. Going further, Lake highlights “Qi.” According to Chinese medical history it’s the vital energy that circulates through the body in “energy channels” or meridians. It’s the flow of Qi, influenced by internal and external factors, that creates imbalances that present as physical or emotional issues. Lake underscores the growing dissatisfaction with conventional biomedicine, including its cost. According to him, that’s what’s led to the use of complimentary and alternative medicine (CAM) to address, for our purposes, psychiatric illness. And, of course, the poor efficacy and safety concerns of psychotropic meds are contributing factors. 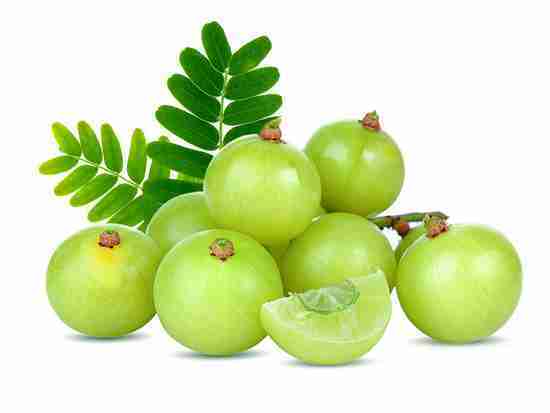 By the way, that’s Indian gooseberry in the featured image. It’s been used in Ayurveda medicine for thousands of years. Regarding the integration of biomedicine and Asian medicine, Dr. Lake gets the ball rolling by stating just about half of the physicians in the US endorse CAMs such as acupuncture, chiropractic, and homeopathy. In fact, many physicians are becoming certified in assorted CAMs. To provide a balanced perspective, Lake goes on to point-out the safety concerns pertaining to Asian medicine due primarily to lack of info regarding combining herbal formulations with prescription meds. He cites the use of the Chinese medicinal herb ma-huang (ephedra) with antidepressants or antihypertensives. The consequences can be nasty, even fatal. Still, how ’bout this? Lake tells us that psychotropics and traditional Chinese herbal formulations impact the very same neurotransmitters – serotonin, norepinephrine, GABA, etc. And, according to Lake, that calls for more research, which will hopefully lead to more integration. In practice, when someone presents with a severe emotional or mental disorder, Dr. Lake believes it’s wise to first use a psychotropic. Only after they respond to the med(s) is it appropriate to add an Asian medical treatment (herbal formulations, acupuncture, etc.). If the individual isn’t diagnosed with a severe, life-threatening, or chronic condition, a referral to a qualified Asian medical practitioner is fine. It’s important to note Lake’s call for special consideration for immediately, or historically, suicidal patients. Under those circumstances, he believes Asian medicine has to hit the back-burner. First and foremost, according to Dr. Lake, all Asian healing traditions are highly patient-centered. And that means treatments address each patient’s unique imbalances that manifest as physical or mental symptoms. He goes on to say that Asian medicine relies upon simple metaphors that are so much easier to understand than the language of biomedicine. 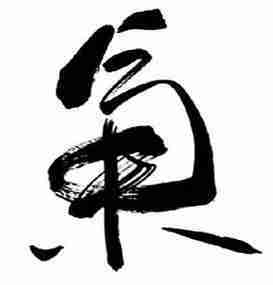 For instance, “wind” is a metaphor used to describe the energetic principle of “rLung,” which in Tibetan medical theory is related to balance – harmony. And he acknowledges that herbal formulations used in traditional Chinese medicine and Ayurveda (originated in the Indian subcontinent) have shown positive results in treating challenges such as depressed mood, schizophrenia, and neurodegenerative disorders. Finally, Lake points-out that response rates for traditional Asian therapies range from subtle effects with few or zip negative consequences, to marked physiological or energetic changes with more potent therapies that may have more frequent or more serious adverse affects. I’m still excited and hopeful regarding the information in Dr. Lake’s work. I mean, it’s one thing for him and other physicians – psychiatrists – to express marginal interest in augmenting psychotropics with Asian medicine. But we’re talking an endorsement here. In my mind, that opens many doors. So how do you feel about it? If you’re interested, take it up with your doc. And why not do an internet search? Enter something like Asian medicine practitioners, with the name of your city. I’ll bet you’ll find some helpful results. You may want to read “Integrating Biomedicine and Asian Medicine: Challenges and Opportunities.” There’s a good bit of info that I didn’t include here. And then there are those Chipur titles. Hundreds of them, in fact. Previous Post: Deep Brain Stimulation for Depression: Would You Do It?